April, 2013 | H&R Group K.K. You can use these in a few different ways; inside or out, and all are very simple so they are also perfect for adding a little flair to an other wise simple dinner without spending a ton of extra time to “make it special.” Try these out and let me know what you think! Many expatriates and visitors from overseas visit Nagano Prefecture in winter for its great skiing and snow boarding at venues such as Hakuba and Shiga Kogen. Yet for many Japanese people, Nagano Prefecture also evokes images of clean air, forested mountains and remote hot springs. Now that winter is over, there are many opportunities to get away from the big smoke and enjoy a day-trip or weekend break in Nagano, hiking in the mountains or soaking in the onsens. Most parts of eastern and northern Nagano can be reached in 2-3 hours by car or 60-90 minutes by bullet train from Tokyo. From Nagoya, the southern reaches of Nagano can be reached in 1.5 hours by car, while Nagano City is about a 4-hour drive. Another option is to take the scenic JR Shinano Line through the famous Kiso Valley to Matsumoto, Chikuma and Nagano cities (2-3 hours). Whether you are interested in hiking or hot springs, basing yourself at somewhere like Kamesei Ryokan in Chikuma City gives you access to plenty of choices. The hikes around the Chikuma River valley in the vicinity of Ueda City and Chikuma City are suitable for most levels of fitness, while there are also many fine hot springs establishments nearby. Below are my recommendations for, first, an onsen weekend, and second, a hiking weekend. Of course, these itineraries can be modified to suit the time available. And if you have a few days to spare, there are more suggestions in the books listed at the end of this article. Friday – Drive to Chikuma City, check into Kamesei Ryokan. Enjoy a traditional Japanese meal (kaiseki cuisine) and soak in their indoor and outdoor baths. Saturday – Have a relaxed breakfast, and the drive to one of the day-use onsen establishments deep in the mountains, such as Jippuku no Yu or Sasara no Yu. Both places also have cafeterias serving the famous Nagano soba noodles, so you can have lunch before or after your bath. Drive back to Kamesei Ryokan, then spend the rest of the afternoon strolling around Togura-Kamiyamada Onsen town. Soak your feet in the footbath in the main street, or visit one of the other local bathhouses such as the historic Kame no Yu. Enjoy another evening meal at the ryokan or ask the proprietor, Tyler-san, for his local restaurant recommendations. 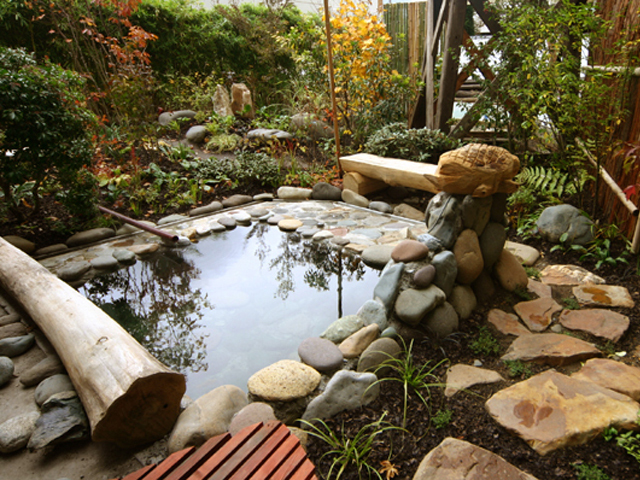 Sunday – Check out of the ryokan at 10am. If you are heading back to Tokyo, stop at one of the onsens in Tomi City or Komoro City to enjoy fabulous views of the mountains. Yurarikan in Tomi City has great views across to the mountains to the west, including Mt Yatsugatake and Mt Tateshina, while from Aguri no Yu Komoro there are great views of the occasionally smoking volcanic cone of Mt Asama. If you are heading back towards Nagoya, you could stop at Gake no Yu in Matsumoto City for some excellent views across the Matsumoto Plain or enjoy the big outdoor bath at Awa no Yu in Shirahone Onsen. Friday –Drive to Chikuma City, check into Kamesei Ryokan. Enjoy a traditional Japanese meal (kaiseki cuisine) and soak in their indoor and outdoor baths. Saturday – Take a picnic lunch and hike to the top of Mt Gorigamine. This hike takes about 4-6 hours, depending on the route taken. Your climb is rewarded with magnificent views along the Chikuma River Valley and across to the Northern Alps. With an early start, you can also hike along the ridge from Gorigamine to Miyasaka Pass and back to the ryokan, or all the way to Mt Ariake in the north of Chikuma City (7-8 hours). Sunday – Check out of the ryokan and head to Ueda City. Climb Mt Tokko (3 hours return) or Mt Komayumi (also 3 hours return) for superb views of the Shioda Plains and the Bessho Onsen area. Reward yourself with a soak in one of the baths in Bessho, such as Oyu, which is in a classical wooden building in the middle of the town. If you have time, visit some of the famous temples and shrines in the town, which date from the Kamakura Era (1185-1333). The above are just a few examples of the many fine hiking and hot spring escapes available in beautiful Nagano Prefecture. 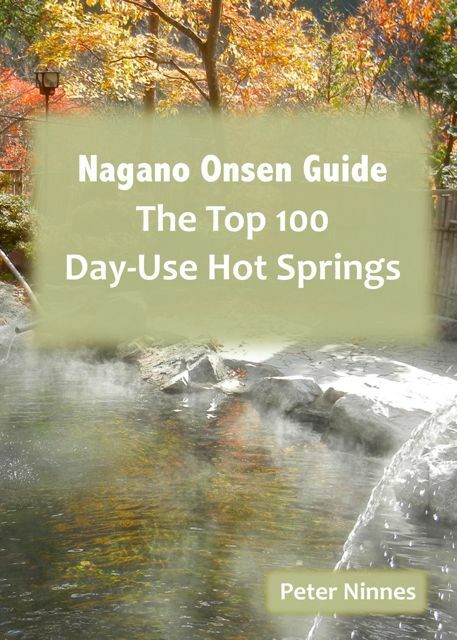 Full details can be found in my “Nagano Onsen Guide: The Top 100 Day-Use Hot Springs” book, and in the “Hiking, Walking and Biking Nagano” series of books (for Ueda City and Chikuma City), all in English and available on amazon.com. Peter Ninnes is an educational consultant and travel writer based in Chikuma City, Nagano. Visitors and residents of Japan from overseas often comment that Japanese drugs are ineffective. Whether because the dosage is wrong, or they have not been prescribed what they were hoping for; the common refrain is a plea for medicines from home. Many people will import over the counter medicines in their bags, or have them shipped from home. This may or may not be legal; see this previous post (Finding Ibuprofen in Japan) for a little information on importing medicines into Japan. When I searched using that term, there were 400 pages of items available; I can only imagine it will increase over time!